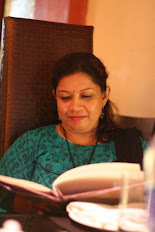 This is my 301st post and time to start the journey for another milestone. Hopefully I'll reach there with plenty of awesome recipes, learning and sharing my experience with you all. These cute looking marbled cupcakes I've made yesterday for my 3 little valentines, my heart and soul, my energy, my love - my 3kids. I have a daughter, who is a chocoholic and twin boys-one of them just loves chocolate and other one doesn't love chocolate at all. He won't eat anything chocolaty, his cupcake has to be white and plain vanilla flavoured. So, I thought why not I combine the two, chocolate and vanilla and try. And as I thought, he loved it and was quite thrilled seeing at the cupcake with two together. Most of the kids love chocolate and what a joy to see them happily eating what their mom made, there is nothing happier for me than this in this World. They are my true Valentine. Preheat oven to 175 deC/350 deF. Line your muffin pan with cupcake liners or grease each muffin pan well and dust with some flour. Dust off extra flour from the muffin tin. During this process, if you feel the batter is getting dry, add milk just as much as to make a smooth creamy batter. Beat the batter for 3-4 minutes in medium speed. Then divide teh batter in eual two portions. 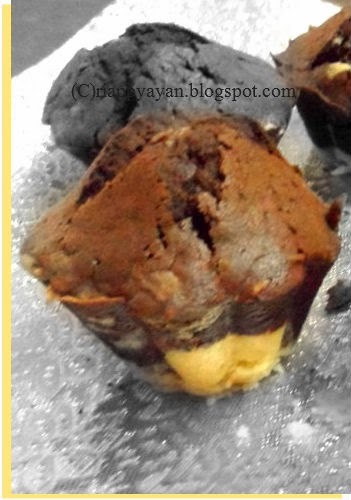 Keep one as it is and in another pne, add cocoa powder and just mix well with the batter with a spoon. 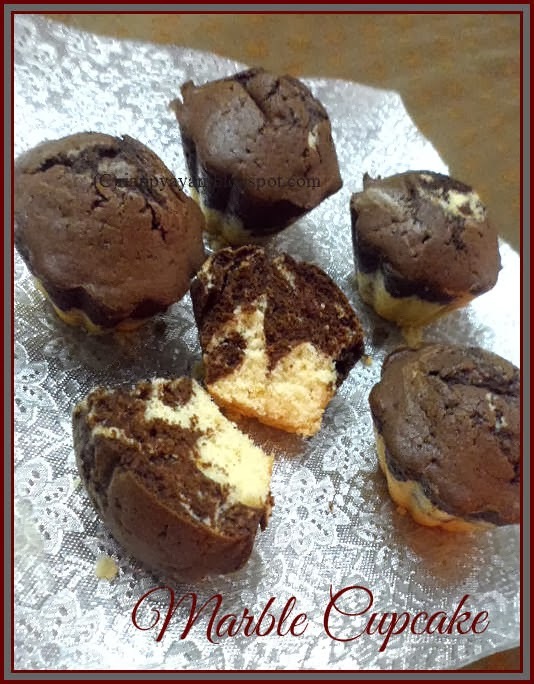 Now your batter is ready to go in the muffin tin. Pour 1 tblsp of white batter first at each muffin tin , then 1 tblsp. 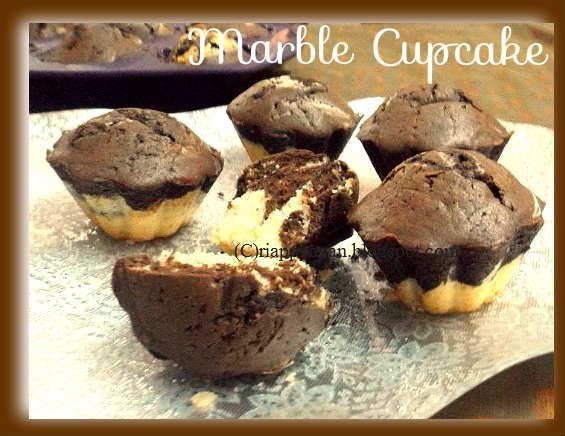 of chocolate batter in there, fill each cupcake/muffin tin this way, then with a knife make a swirl in the batter to make the marble effect. Do not fill not more than 2/3 of cupcake mould, I made a mistake filling them almost to the rim, that's why it rose up during baking and cracked. You have to keep some space to let them rise. Put the prepared muffin tin in the oven and bake for 30-35 minutes or until a toothpick inserted in the middle, comes out completely clean. Remove from pan to cool completely on rack. 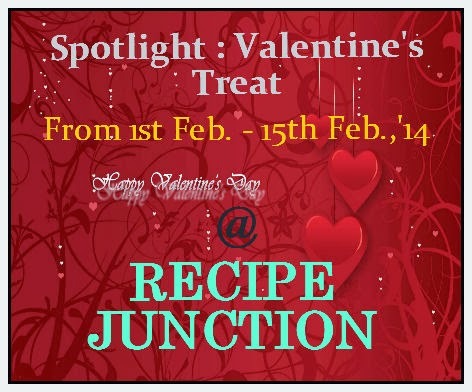 This cupcake I'm linking to my ongoing event, Spotlight : Valentine's Treat. My blogger buddies, share your recipes with us how are you treating your valentine this year. This event will end on 15th Feb., '14. Apt for the occasion! Very beautifully made cupcakes...looks perfect and delicious too....love it!